UNKNOWN ASIA Art Exchange Osaka 2019では、昨年同様、第一線で活躍するアートディレクター、ギャラリスト、プロデューサーを審査員として国内外から招聘。全員の投票によりグランプリを決定します。グランプリ受賞者には国内、国外での作品発表の機会を提供。また審査員それぞれが賞を用意し、選ばれた出展者に対して積極的なサポートを行います。 We are pleased to announce the judges and reviewers of this year's UNKNOWN ASIA. Specialists who are active in the forefront of art and creative industry come to this art fair this year from inside and outside of the country. The judges will vote for the Grand Prix. In addition, each judge will prepare personal prizes and supplementary prizes and will support the winners. 1969年生まれ。アーティストエージェント「visiontrack」代表。 2011年 アジア発のクリエイティブ・プラットフォーム「ubies」を立ち上げ、2013年「世界を熱くするアジアンクリエイター150人」をPIE Internationalより発行。 2014年にはアジア中から気鋭のクリエイター1000名、3000点を超える作品を集めた「ACN主催・ASIAN CREATIVE AWARDS」を企画プロデュース。現ACNメンバー。 Born in 1969. Artists agent vision track representative. Established the Asian creative platform “ubies in 2011. Published Asian creators 150 people to heat up the world by PIE International in 2013.Produced ACN sponsored ・ ASIAN CREATIVE AWARDS”in 2014 1000 spirited creators from Asia gathered more than 3000 works. ACN members. アジアへ一緒に飛び出しましょう！ Let's across border with us! ubiesにてTシャツ等のプロダクトを制作し販売、また、ヴィジョントラックのオフィシャルサイト、メルマガ等でFeatured Artistとして掲載するなどプロモーションし積極的に仕事やプロジェクトへと繋げていきます。 I will make products, for example T-shirts, iPhone case and so on and sell them through ubies. Debut into the art circle as the Creative Manager of The Jam Factory where she was also the Gallery Director and the Co Founder/ Editor of "The Jam Mag." Magazine. She is also the Founder and Curator of the “Art Ground” festival, a well known Art Fair in Bangkok. In another role that she is respected for, Sirima is also a Street Photographer. She is a member of Street Photo Thailand. Debut into the art circle as the Creative Manager of The Jam Factory where she was also the Gallery Director and the Co Founder/ Editor of "The Jam Mag." Magazine. She is also the Founder and Curator of the “Art Ground” festival, a well known Art Fair in Bangkok. In another role that she is respected for, Sirima is also a Street Photographer. She is a member of Street Photo Thailand. The opportunity to organise an exhibition will be provide at the winners. The opportunity to organise an exhibition will be provide at the winners. I wish you luck!! I wish you luck!! Collaborate and exhibit work in Bangkok. Collaborate and exhibit work in Bangkok. Decai Zhu was born in 1976, Guangdong China. He was graduated from MA of Interactive Multimedia, London College of Communication, the University of Arts London in 2003. He set up Intox Design & Communication right back from London, Furthermore, He set up Shenzhen Fringe Art Center , focusing on international exchanges and cooperation in diverse cultural and artistic activities, community interaction, education and management executive, which is currently the first and only art organization in Mainland China to promote the culture of Fringe Festival. Decai Zhu was born in 1976, Guangdong China. He was graduated from MA of Interactive Multimedia, London College of Communication, the University of Arts London in 2003. He set up Intox Design & Communication right back from London, Furthermore, He set up Shenzhen Fringe Art Center , focusing on international exchanges and cooperation in diverse cultural and artistic activities, community interaction, education and management executive, which is currently the first and only art organization in Mainland China to promote the culture of Fringe Festival. we are looking for the next talent and more unknown artists around Asia. Unknowasia Art Expo is an opportunity not to be missed. we are looking for the next talent and more unknown artists around Asia. Unknowasia Art Expo is an opportunity not to be missed. エンライトメント　1997年、ヒロ杉山が中心となり結成。ヒロ杉山、峯山裕太郎、加藤崇亮からなるクリエイティブユニット。 ファインアートの世界で国内外の展覧会で作品を発表する一方、フリーペーパーやアートブックの出版、展覧会のキュレーションなども行い、グラフィックデザイン、広告など幅広いジャンルで独創的な作品を発表しつづけている。さらにPV制作やVJなどの映像分野での評価も非常に高く、平面だけではなく立体作品から空間演出も手掛け、幅広い創作活動を展開している。 VJとしては1994年より活動を開始。国内外問わずビッグ・アーティストと共演し、海外のパーティ、ビッグフェス、アート・ショウにも数多く参加している。近年では、m-flo『COSMICOLOR』のツアーVJや、大沢伸一『THE ONE』のツアーVJとして参加。安室奈美恵、BOA、MEGなどへライブ映像を提供している。現場のLIVE感や空気感を瞬時にダイレクトにフロアに反映することを重視するプレイスタイルで数多くのフロアに視覚的グルーヴを生み出し続けている。 Established by Hiro Sugiyama. Creative unit of Hiro Sugiyama, Yutaro Mineyama, Takaaki Kato. Exhibiting artwork in the world of fine art. Publishing free papers and art books, designing advertisements and magazines and Curating Exhibitions. Creating music videos, vjing, well known in the world of moving image. Not only 2D art, they have expanded their area to 3D projects and space design. Recently signed with London rep, pocko and have expanded their work to overseas projects. They have been professional VJs since 1994. Collaborating with big named artists from around the world. Participated in outdoor festivals, parties and artshows around the world. 見た事の無いものが見たいです I want to see things I have not seen before. 大学卒業後、株式会社ビームス入社「Uniform Circus BEAMS」にてチームオーダー、SPグッズのデザイン、企画開発等を経て、2000年、Tシャツ専門レーベル「BEAMS T」を立ち上げ、バイヤーとしての業務の他、エキシビションの企画、プロデュース等を行う。2008年TOKYOのクリエイションを世界に発信する「TOKYO CULTUART by BEAMS」を設立。 Shuji Nagai is the director and curator of TOKYO CULTUART by BEAMS, a label that embodies his passion for Tokyo’s vibrantly chaotic arts, designs and cultures. Japanese artists such as Kads MIIDA, Hiroshi Iguchi, Tomoki Kurokawa and GELCHOP are regulars in Nagai’s curations at the label’s two gallery shops in Tokyo. As Creative Director of BEAMS institute of creation (HALS), Nagai is actively engaged in art events and projects. 現代そして未来においてアートは益々重要な役割を担っています。UNKNOWN ASIAを通して、今までのありきたりなものの見方や捉え方を変えてくれるような驚きの作品、作家に出会えることを大いに期待しています。 Art is playing an increasingly important role in modern and future scene. Through UNKNOWN ASIA, I am very much looking forward to seeing amazing artworks and artists that will change the way I look and catch up on what I have seen. TOKYO CULTUART by BEAMSから発売するプロダクツの共同企画 Producing products with TOKYO CULTUART by BEAMS. Design Director of Amazing Angle Design, Benny’s dynamic visuals often captures complex ideas in the simplest way. A graphic designer who also has excellent knowledge in paper and printing, Benny is dedicated to graphics, branding, publication design and exhibition curatorial work. He founded miniminigallery at his studio, where designers and creative minds from around the world are invited to show their works and exchange ideas. Benny is often invited to participate in design exhibitions, and is invited as guest judge and speaker for international design competitions and forums. His works are collected by museums and galleries worldwide. Benny is currently a member of Hong Kong Designers Association, Shenzhen Graphic Design Association, Tokyo Type Directors Club and Japan Graphic Designers Association. Design Director of Amazing Angle Design, Benny’s dynamic visuals often captures complex ideas in the simplest way. A graphic designer who also has excellent knowledge in paper and printing, Benny is dedicated to graphics, branding, publication design and exhibition curatorial work. He founded miniminigallery at his studio, where designers and creative minds from around the world are invited to show their works and exchange ideas. Benny is often invited to participate in design exhibitions, and is invited as guest judge and speaker for international design competitions and forums. His works are collected by museums and galleries worldwide. Benny is currently a member of Hong Kong Designers Association, Shenzhen Graphic Design Association, Tokyo Type Directors Club and Japan Graphic Designers Association. I look forward to seeing the amazing creations at UNKNOWN ASIA 2019. I look forward to seeing the amazing creations at UNKNOWN ASIA 2019. The winner will be invited to have an exhibition in Hong Kong. The winner will be invited to have an exhibition in Hong Kong. ASIAN CREATIVE NETWORK設立企画メンバーとしてUNKNOWN ASIA立ち上げに参画。デザイン専門学校にて教職員として、教育・学校運営に従事した経験を持ち、デジタルコンテンツ・IT 分野の業界団体での幹事・人材育成等の部会長／運営やデザイン分野の行政施設でのディレクター経験を持ち多方面に活動中。 As ASIAN CREATIVE NETWORK establishment planning member see UNKNOWN ASIA launch. With experience as a teacher at a design vocational school, having experience in education / school management, having a director's experience at the administrative facility in the department manager / administrative and design field such as secretary, planning etc in general contents of digital contents / IT field Active in many directions. クリエイター、審査員、レビュアー、来場者が交流し、多くの可能性が生まれています。今年も多くの出会いを楽しみしています。素晴らしい作品を期待しています！ Creators, judges, reviews, visitors interact, and a lot of possibilities are born. I am enjoying a lot of encounters this year. I am expecting great works! 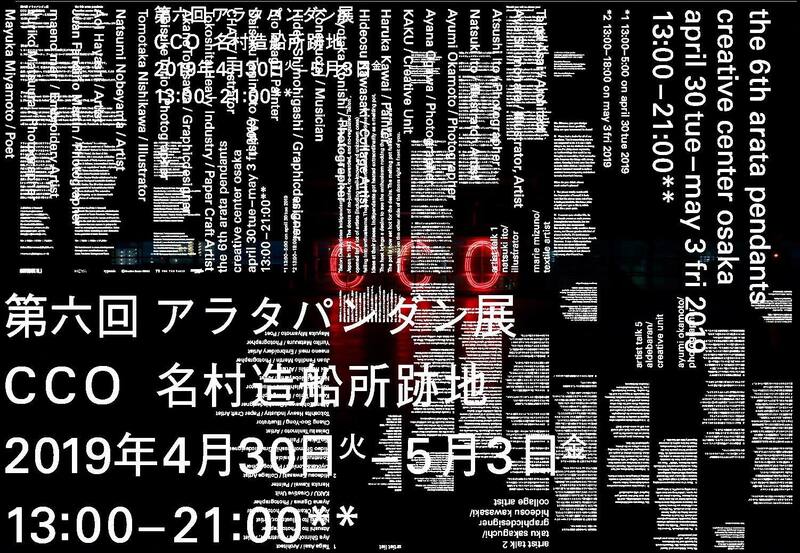 1988年生まれ、大阪在住。 FM802 / FM COCOLOのアートプロジェクト「digmeout」アートディレクター。アートギャラリー「DMOARTS」キュレーター。UNKNOWN ASIA 実行委員。ギャラリーでの展覧会企画、日本国内・海外でのアートフェアの出展、アートディレクション、作家マネジメントなどをおこなう。 Born in 1988, based in Osaka, Japan. Ryo Takahashi is art director of art project “digmeout” that belongs to FM802 and FM COCOLO, curator of DMOARTS and executive committee of UNKNOWN ASIA. UNKNOWN ASIAを立ち上げてから早くも5年。これまでに多くのアーティストと出会い、その出会いをきっかけに多くのプロジェクトが生まれました。5周年となる今年、グランフロント大阪を舞台にさらにグレードアップしたUNKNOWN ASIAを開催します。一緒にプロジェクトを進めることができるクリエイターとの出会いを楽しみにしています。 It has been five years since UNKNOWN ASIA has launched. We had met so many artists and these wonderful encounter has made great number of projects. As celebration of 5th anniversary, we will relocate into Grand Front Osaka and hold the improved UNKNOWN ASIA. I am expecting to see creators whom projects might goes with us. 受賞アーティストには、digmeoutアーティストとして各種ビジュアルなどのコラボレーション、DMOARTSや国内外のアートフェアでの展示の提案を積極的に行います。 I would positively offer the prized artist commissioned projects such as cover art or exhibition at DMOARTS or domestic or foreign art fairs. 1982年生まれ。香川県出身。日本のカルチャー情報を扱うCINRA.NET立ち上げ時よりアートディレクターとして参加し、デジタルを活用したキャンペーンを多数制作。現在はフィールドを世界に広げ、アジアを中心としたトラベルメディア"HereNow(https://www.herenow.city/)"の運営やクリエイティブ力を活かし国や地域の観光プロモーションに携わる。東京造形大学にて客員教授も行う。 Born in 1892, KAGAWA prefecture. Joined “CINRA.NET”, an online magazine that aims to cover everything about Japanese creative culture, at startup stage to serve as Art Director. He has led many digital promotion projects to successful conclusion since then. He is now in charge of global business of the company, managing online travel magazine "HereNow”, creative city guide with a special focus on Asia. His main business field now is tourism promotion for both national and local government. Also serving as a visiting professor at Tokyo Zokei University. クリエイティブの力は国境を超え、人々に理解と寛容を生み出すと信じています。 変動が多いアジアの中、新しい『未来』に出会う事を楽しみにしています。 I believe in the power of creativity to brings mutual understanding and culture tolerance among people, beyond the border. I am looking forward to encounter with the FUTURE of ever changing Asia. Artists who will participate in The 5th of Unknown Asia, make new friends from all over Asia. It will inspire many changes to your work and life. Enjoy Unknown Asia with your heart. Let's go together into the Unknown World! Artists who will participate in The 5th of Unknown Asia, make new friends from all over Asia. It will inspire many changes to your work and life. Enjoy Unknown Asia with your heart. Let's go together into the Unknown World! 存在の探求。自らの理解を超える表現。理屈に丸め込まれない想像の翼。 Exploration of existence. Expressions beyond their own understanding. Imaginary wings that can not be rounded off to reason. 雑誌、関西ウォーカーでのアーティストプロフィール紹介。 Introduction of artist profile in magazines, Kansai Walker. 総合商社、外資系コンサルティングファーム、モバイルコンテンツ会社を経て、アジア最大級の現代アートのオンライン販売「＠Gallery TAGBOAT」の運営に従事。日本の現代アート市場拡大のため、一般の方にも気軽に買える機会を作るべく奮闘中。特に若手アーティストがプロとして活躍できる環境作りに力を入れている。 Working with one of largest online web site in Asian region " @Gallery TAGBOAT", He is works towards Creating opportunity for general public to purchase artwork easily in order to expand Japanese modern art market, with strong attempt to create circumstance for young artist to perform well as professional artist. 今まで見たこともない面白いアーティストを探しています。 非凡な才能を持っている方はぜひ出展して作品を見せてください。 真剣にアートで飯を食べていきたいと考えているアーティストに対しては、こちらもできる限りのサポートをしていきます。 We are looking for the fascinating artist not been seen before. The creator who has the extraordinary talent should apply the UNKNOWN ASIA and show us your artworks. We will do the best support as possible for the enthusiastic artists who want to live a life by selling the artworks. オンラインマガジンSHIFTにおいてインタビュー記事でのご紹介（予定） Feature intweview with the artitst. 1987年マカオ生まれ、広告代理店デザイナーを経て、芸術家へ。マカオの大学時代に、ルイ・ヴィトンのデザインなどを担当。2009年から北海道に制作拠点を移し、東日本大震災の後、現代アートの道に集中。グローバリズムの中で、場所と人間の関係を表現した作品で国際的な評価を得たことから、様々な国の展覧会、アートフェアの推薦、コレクションが広がる。またマカオと日本の文化の架け橋にもなり、作家の支援など活動の幅を広げている。さっぽろ雪まつりではマカオ大雪像のコラボ作品展を開催し、テレビ番組他、メディアに出演した。その他にはマカオ映画の北海道上映会企画や、東京アーツ千代田 3331でマカオの作家展示会《マカオ・コンテンポラリー》を企画開催した。2017年から《UNKNOWN ASIA》受賞者のマカオでの企画展を開催、またマカオで開催されるビエンナーレWomen Artists International Biennial of Macaoにおいてディレクターも担う。 Season Lao Now based in Japan, Lao was born in Macao. After becoming an advertising agency designer he became an artist. He attended university in Macau, and was in charge of such projects as designing for Louis Vuitton. Since 2009 he has been based in Hokkaido, Japan. After the Great East Tohoku Earthquake, he was inspired to focus on contemporary art. His work explores the relationship between people and nature, and has gained global recognition. He has had exhibitions of his work in various countries, has been nominated in numerous art fairs, and his works featured in collections all over the world. As well as connecting Macau and Japanese culture, Lao also participates in activities to support other artists. In the Sapporo snow festival, he held a collaborative work exhibition which was featured on TV programs in Macau. He also curated screenings of Macau films in Hokkaido. 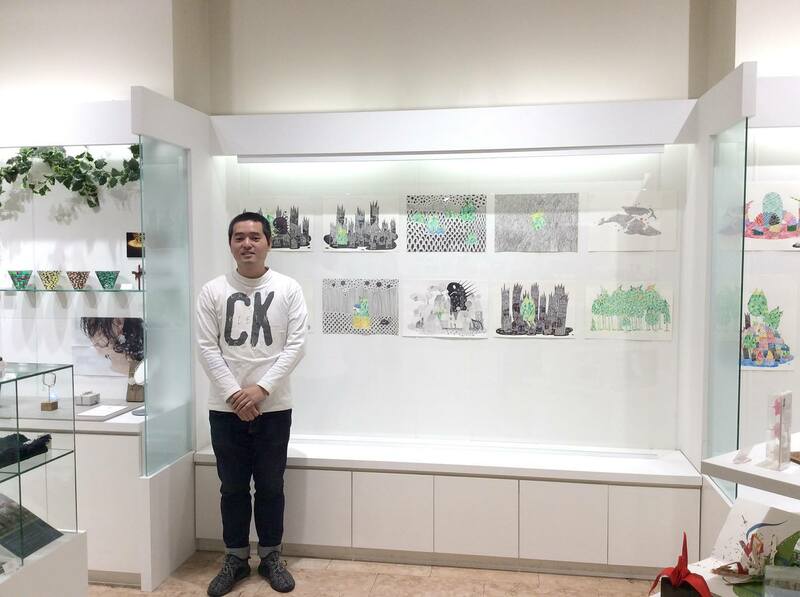 He also organised a Macau artist exhibition "Macao Contemporary" at Tokyo Arts Chiyoda 3331. And since 2017, Lao has judged and curated an exhibition for "UNKNOWN/ASIA” Award Winning Artists' Exhibition in Macao. He is a director of Macau Biennale Women Artists International. 素敵な作品をマカオで紹介できるのを、楽しみにしています。 I am looking forward to introducing wonderful works to Macao. マカオで受賞作家企画展を開催、メディア紹介などの支援サポートを行います。 Season Lao's selected Award Winning Artists will have an solo or group exhibition in Macao, also will have supporting media introduction and such. たくさんの興味深い作品に出会えるのが楽しみです！ I'm looking forward to meet many interesting works! 1947年徳島生まれ。グラフィックデザイナーを経て、1976年よりイラストレーターとして活躍。大瀧詠一の「A LONG VACATION」「NIAGARA SONG BOOK」等のレコードジャケットに代表されるトロピカルでクリアな風景イラストレーションを得意とする。 近年ではAORのコンピレーション『breeze』シリーズ、ikkubaru『Amusement Park』、『brighter』、TEEN RUNNINGS『NOW』、サニーデイ・サービス『DANCE TO YOU』のジャケットのアートワークを担当。2016年7月に「time goes by…」が復刊された。 Born in Tokushima in 1947. After working as a graphic designer, he worked as an illustrator from 1976. His illustration, represented by record jacket such as "Ohtaki Eiichi's" A LONG VACATION "" NIAGARA SONG BOOK ", has great features in tropical clear landscape illustration. In recent years he is in charge of the artwork of AOR 's compilation' breeze 'series, ikkubaru' Amusement Park ',' brighter ', TEEN RUNNINGS' NOW ', sunny day service' DANCE TO YOU 'jacket. "Time goes by ..." was rebuilt in July 2016. 真面目に、真摯に制作に取り組んでいる人の作品が見たい。当日はとにかくいい絵を選びたいと思っています。 I would like to see the works of artists who are working diligently to produce works. At UNKNOWN ASIA 's judgment, I'd like to select an artist who draws a good picture anyway. 受賞者に対して後日ミーティングし、作品制作に対するアドバイス等行います。 I will hold a meeting for the winner at a later date and give advice on the production of the work. 802Mediaworks / digmeout プロデューサー。1963年生まれ。京都出身。若手アーティスト発掘プロジェクト「digmeout」プロデューサー。FM802のビジュアルにアーティストを起用し、ソニー、日産、りそな銀行、ナイキなどの企業プロモーション、アートブックの発行、国内・海外での展覧会を手がけるなど「街」と「アート」と「人」をつなぎながら活動中。2011年5月アートギャラリー「DMO ARTS」をオープン。2015年よりアートフェア「UNKNNOWN ASIA」を企画・主催。2018年に出版部門「digmeout press」を立ち上げ、アートブック「digmeout」の最新号を12年ぶりに刊行。 802Mediaworks / digmeout Producer. Born in 1963. Born from Kyoto. A young artist excavation project "digmeout" producer. We appointed artists to the visual of FM802, joining "town", "art" and "person" such as company promotion such as Sony, Nissan, Resona Bank, Nike and publishing art book, domestic and overseas exhibitions While working. May 2011 Opened the art gallery "DMO ARTS". We plan and organize the art fair 'UNKNOWN ASIA' from 2015. In 2018 he launched the publishing department "digmeout press" and published the latest issue of the art book "digmeout" for the first time in 12 years. 僕は毎年他の審査員やレビュアーが賞を与えていないクリエイターを選んで個人賞を与えています。今年も、見たことがないオリジナルな才能を探したいと思います。 I am giving individual prizes every year by other judges and reviewers who choose creators who do not give a prize. I hope to find original talent that I have never seen this year. ラジオ局FM802のアートワーク、展覧会の企画、企業コラボレーションなどに採用します。 We will adopt it for artwork of radio station FM802, exhibition planning, corporate collaboration and so on. 1992年より大阪帝塚山を拠点にウォーホル、ジャスパージョーンズなど国内外の現代美術を紹介するギャラリーを運営。2008年より日本の若手アーティストのプライマリーギャラリーとしての運営も行い、2010年に現在の南堀江に移転後も積極的に海外のフェアに出展して日本現代美術を紹介。 Director of Tezukayama Gallery, presenting international artists since 1992. 今年で5回目を迎えるUNKNOWN ASIA。年々規模の拡大とともに周囲の期待も益々広がりを見せています。 私も将来につながる関係を持てるアーティストと、この場所で出会えることを期待しています。 UNKNOWN ASIA is coming 5 years and its expand and people get more interest year and year. I am very looking forward meeting emarging talented artists this year too! 写真家、キュレーター、ギャラリスト。写真家として日本、パリ、中国で展覧会を開催。2015年第1回Unknown Asia Art Exchange Osakaグランプリ、FOIL《竹井正和賞》受賞。台北で谷居Gu JuとG.Galleryの2つのコンテンポラリーギャラリーを運営。若いアーティストをサポートしている。毎年春、台北で最大のフォトフェアWonder Foto Dayを主催、約120組のアーティストが出展、国際的な出版社、キュレーター、ギャラリストが集い、アーティストのチャンスを生み出している。また、台湾とイタリア、日本での国際文化交流も行う。In Blica 台湾、シシリア交流展、長岡Sake discoveringデザイナー交流など。台湾サムスン、ワコム、BenQなどのブランドとコラボ、アーティストの展覧会や、イベントを開催。アートのエネルギーを活用し、ブランドの価値を伝える活動もしている。 Fang Yen-Wen is a curator, gallerist and photographer. He is the founder of Wonder Foto Day, the largest artist-based photo fair in Taipei. Every spring, over 120 selected artists exhibit at Wonder Foto Day to present their work to a wide audience, as well as guest photography professionals such as international publishers, curators, and gallerists — creating unique opportunities for participating artists to sell their work and to be discovered. As a photographer, he has been exhibited across several countries, including Japan, France, and China. He’s the Grand Prix winner of Unknown Asia Art Exchange Osaka in 2015. He’s also the owner of Gu Ju and G Gallery, two contemporary galleries in Taipei. 台北で展覧会か、ワンダーフォト招待。 exihibion in taipei or Wonder Foto Day.